Home sweet home. It’s the place where a person feels loved, safe, and comfortable. Yet for some 180 talmidim of Yeshiva Ateres Shmuel of Waterbury, the past few weeks have been tinged with a longing to return to the place they call “home” in Durham, Connecticut. 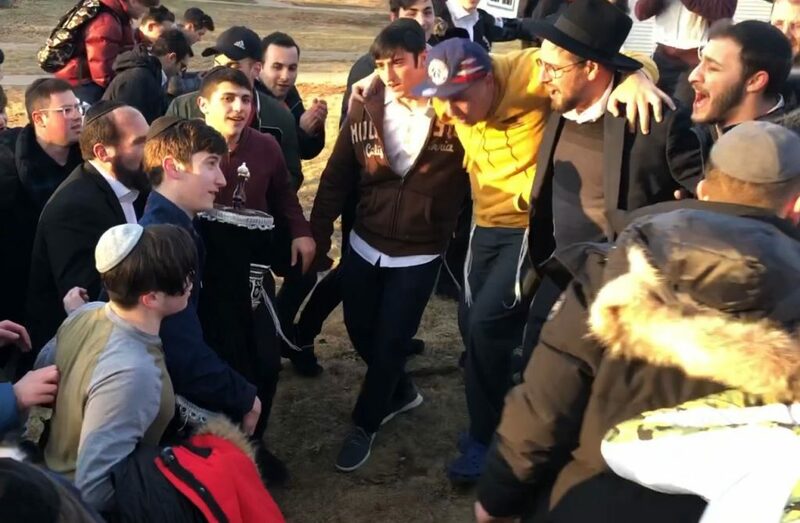 For these boys, their relationship with their Rebbeim and friends is like a family bond, and being away from their dorm and beis medrash felt foreign. 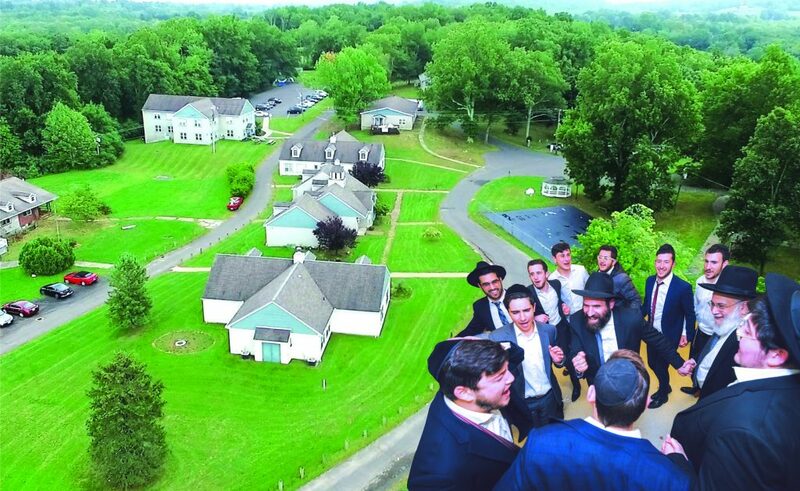 Now, through the extensive efforts of the dedicated Rosh Yeshivah, rebbeim, administration and a group of heroic lay leaders, the yeshivah is headed back once again … to the place they call home. 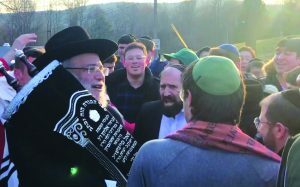 For 19 years, under the leadership of Harav Aharon Kaufman, Yeshiva of Waterbury has produced a unique brand of talmid. Many of the incoming talmidim had not yet tasted the sweetness of Torah, and they found their way to Waterbury in search of a yeshivah that would nurture them as individuals. They came searching for direction, for companionship, and most of all for acceptance. Rav Kaufman, with his staff of patient and devoted mechanchim, provided them with all that and more. “If I had to describe our mission,” says Rav Aharon, “I would say that I am trying to return to the days before Rabi Yehoshua ben Gamla. The Gemara in Bava Basra (21a) tells us that the primary way Torah was supposed to be transmitted was from father to son — v’shinantam l’vanecha. When that didn’t always work, they moved the Torah education to Yerushalayim. Eventually, Yehoshua ben Gamla organized an institutional method of yeshivos to ensure that every child would get a Torah education, even those whose fathers were unable to provide it in their home towns. But this was a substitute for the original intent of the Torah being transmitted from father to son. This very innovative approach created its own set of issues. The state authorities in Connecticut are accustomed to two types of facilities: boarding schools and inpatient facilities. The yeshivah was not in compliance with either of these, and had been granted an exemption. 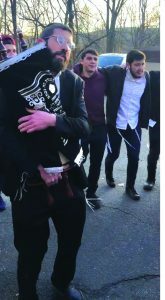 Under pressure from local authorities, the hanhalah decided to close the yeshivah until an acceptable plan was put in place. 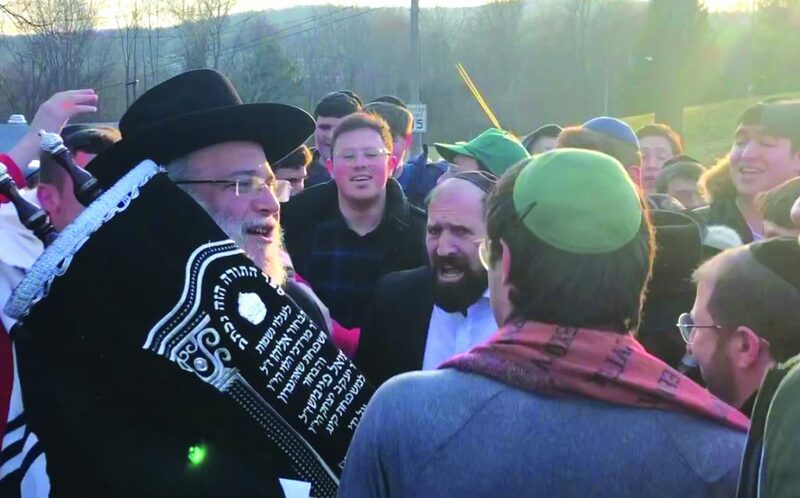 In a discussion with Hamodia, Rabbi Yanofsky explained his thoughts when Rabbi Avraham Fruchthandler and Reb Yisroel Rabinowitz approached him to accept the task. “Reb Avraham explained the challenges we faced. To the boys, the yeshivah is their lifeline, their chance at leading successful, productive lives. My parents, who collectively have 80 years of experience as principals of mosdos, ingrained in me the sense of achrayus to Klal Yisrael. I just couldn’t turn my back on them, and I began working on solutions. 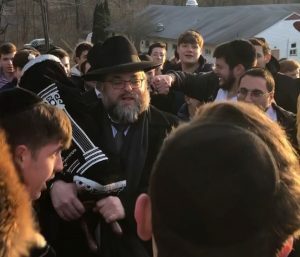 My goal is to work with Rabbi Kalish, Rabbi Brownstein, the Rebbeim and the administration to help get the yeshivah past this crisis and put it on a solid foundation going forward. While the process of reorganizing began, the students were sent back to their parents’ homes. 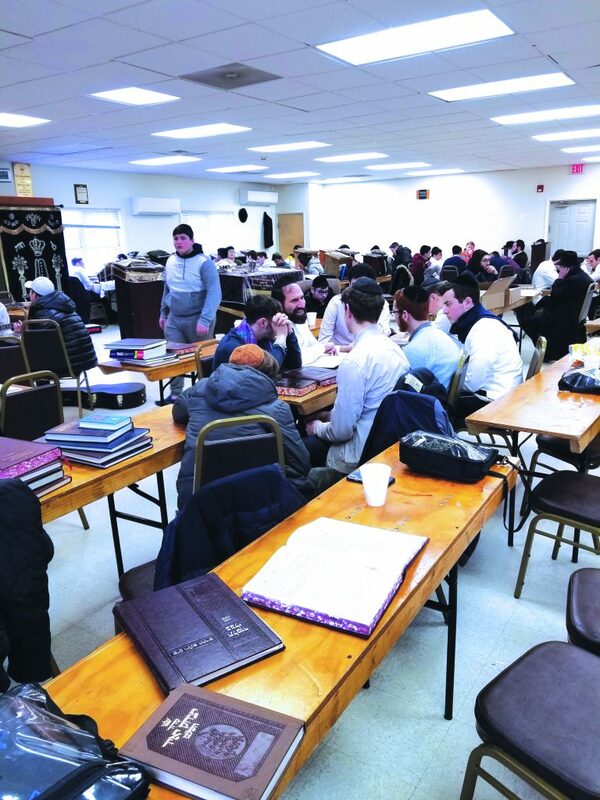 Daily get-togethers, which included a shiur, lunch and activities, were arranged in several locations (Monsey, Brooklyn, Five Towns/Far Rockaway, etc.). Each day, several members of the faculty attended each gathering to be mechazek the talmidim, and reassured them that with siyatta diShmaya, they would soon be returning to Durham. The list is impressive for its originality and how it is tailored for the clientele it is serving. Rabbi Yanofsky contacted V.E.I., a company that helps develop merchandise and client services from start to finish, and is working with them to design a program which will train the boys to create and market new products. The yeshivah is working with Agudath Yisrael’s PCS to procure a grant which will prepare some students for associate degrees in several disciplines, including junior accounting, cybersecurity, coding and networking. 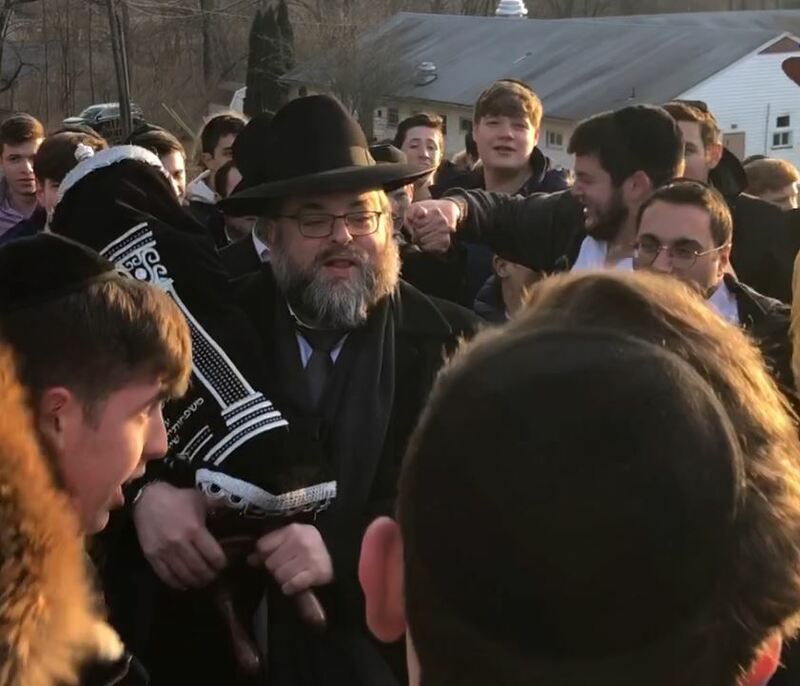 Tapping into his “out-of-the-box” thinking, Rabbi Yanofsky is implementing courses which will help these students both in the immediate as well as the more distant future. 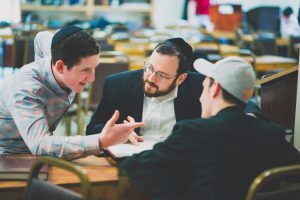 One issue which arises each summer is placement of the talmidim in environments where they will continue the growth that they experienced during the zman. By providing an EMT course as well as a course in lifeguarding, the boys will be better equipped to secure fulfilling positions in the summer. One of the most innovative ideas involves teaming up with a kosher culinary school to train some talmidim in the art of cooking, baking and garnishing, to fill the need for professional chefs in the kosher catering business, including placement in Pesach and summer programs. These and other improvements in the program were presented to the authorities, and permission was granted to reopen the campus on Tuesday, January 15. The joy of the talmidim was palpable as they met for orientation in Monsey and Flatbush. Parents and talmidim gathered to listen as Rabbi Kaufman, Rabbi Kalish and Rabbi Yanofsky addressed them as to how the schedule would precede, and to hear about the plans for the future. 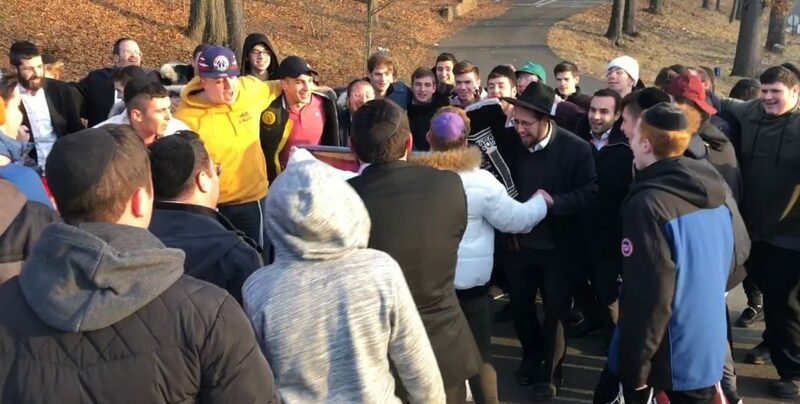 Before the orientation ended, a group of boys gathered together for a few songs, highlighting for the parents their yearning to return to yeshivah. “Singing is an important component of helping the boys connect,” said Rabbi Daniel Kalish, Menahel of the high school. “They unite with their friends, and get in touch with their inner selves.” Over the last few years, the talmidim have produced several CDs of original songs in which they express their newfound commitment to Torah and its ideals. 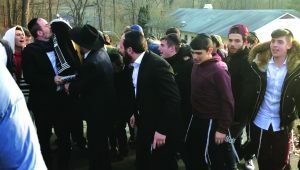 In the course of the negotiations with the authorities, Rabbi Yanofsky had to assure them that there will be ample supervision going forward. Although there were always dorm counselors on site, the need to increase the quality and quantity of the staff was necessary. The dorm counselors will now be more involved with the daily routine, spending more time learning and mentoring the boys outside of the scheduled sedarim. Despite the prohibitive costs, additional staffing was added, which will complement the current personnel as they go forward. In the meantime, the boys returned to the Durham campus on Tuesday, January 15th. They danced with the sefer Torah as if it were Simchas Torah and rejoiced with their Rebbeim. And the next morning, the boys began the rest of their zman, once again ensconced in their dormitory and beis medrash as before.